Oh my goodness it has been like 3 or more weeks since I last posted! I am so sorry guys, today I will change that. I hope you are all doing good. It is February 1st today, to me January went by really slow but according to EVERYONE I talked to it didn't. Anyone else with the same problem? 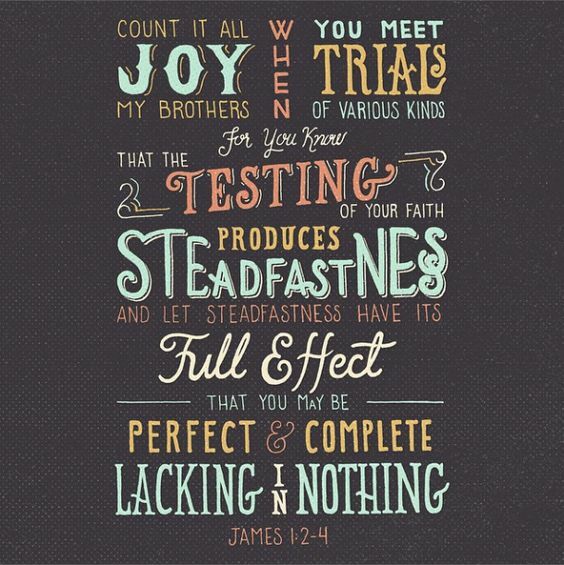 In Sunday School we are going through James, well we just started, and two Sundays ago we went over these verses. We all have trials. We have all gone through them, we have all experienced them big or small. People say God never gives you a trial that you can't handle, well it is the opposite. God never gives you a trial that HE can't handle. We are weak and don't know how to handle hard situations. God is strong and He knows what is going on. 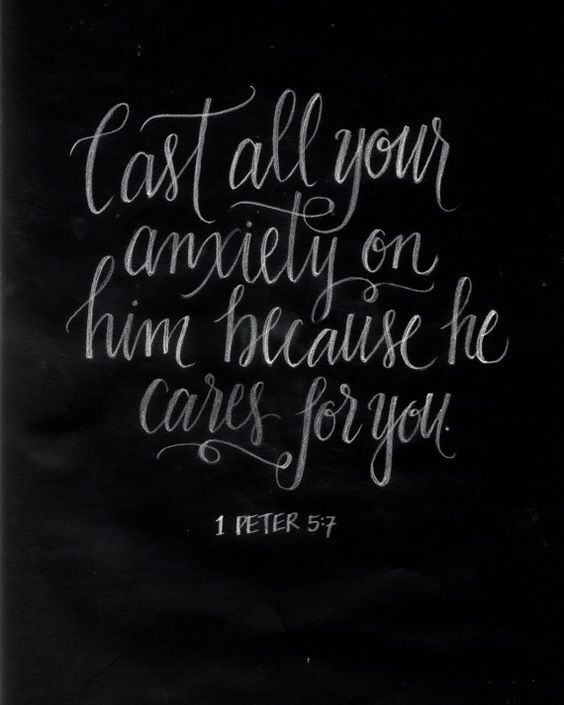 You always have to lean on Him because you would mess up a situation that is already hard enough. Always give the problems you have to Him. They are to make you have stronger faith. They are to make you a better child of God. Because if life was all rainbows and lollipops, how would you learn to trust God better? Your faith would never grow without troubles. It sounds weird but really, why would we need God then? God sees the whole picture. He sees how it starts and how it will end. We can't see it and that is why it is hard for us. When you trust fully in God though, there is no need to fret about everything. I hope that made sense and that you all sort of get it. Rebekah, you said this so well. I love your posts! Great post, I missed them too. ;) But this is a wonderful and helpful message and a reminder I need time and time again!